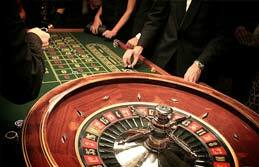 Roulette is one of the most popular games both in actual casinos as well as online. There are many variations of the game that you can choose from, as well, all played similarly and following the same general rules. However, there are also some key differences between them. Here are a few descriptions of some of the variations that can be found online. The most common type of roulette is the American version of the game. The wheels in American roulette have two zeros - the single and the double. This gives the game a bigger house advantage. The house advantage in American roulette is typically 5.26%. Therefore, this isn't necessarily the best version to play, even though it's the most well-known. 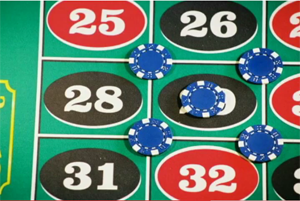 The European version of roulette is less popular than the American one, even though both are almost identical except for one crucial difference. In European roulette, the wheel does not have a double zero. This greatly affects the house advantage of the game. 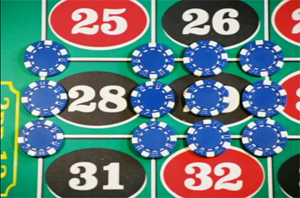 The house advantage of the European version of roulette is typically 2.63%, which is much less compared to the American version's. Because of this, it is a bit difficult to find the European version of the game online. Some consider the French version of roulette as the "original" version since the word "roulette" is actually a French word meaning "little wheel". However, even though it is the original version, it's not very commonly played. In fact, it is one of the least popular versions of the game. A lot of online casinos do not even offer this version of roulette due to the fact that they don't make a lot of money and profit from it. The reason for this is because French roulette has a very low house advantage. Just like the European version, the French roulette does not have a double zero and they have the same odds. The French version has a slightly lower house advantage, though, and because of this, many roulette players are attracted to the French version of the game, even though only a few online casinos offer it now. Besides these minor differences and the fact that the tables in French roulette are sometimes laid out differently, the French version is quite similar to the American and European versions. There are a few other variations of roulette, but the ones above are those that are typically offered in online casinos. Due to the house advantages, it is recommended to play either the European or the French version of the game, though. Unfortunately, both of these versions are sometimes quite difficult to find.